The good old coconut oil takes you back to childhood! Our dadima’s nushkas and maa ke haath ki champi were never complete without a good dose of coconut oil. Besides being nutritious and delicious cooking oil, coconut oil is infused with properties that nourish and hydrate your skin. The benefits of using coconut oil on a daily basis are more than you can imagine. 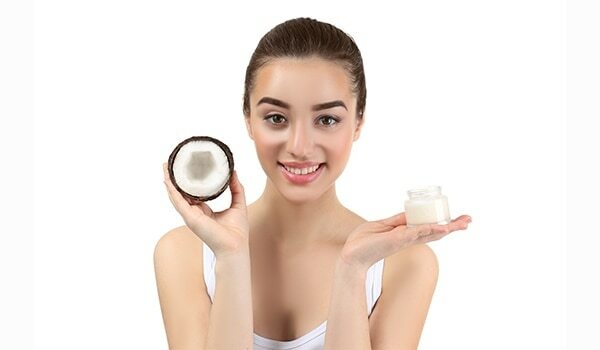 While our moms made sure we never washed our hair without massaging our scalp with coconut oil the night before; you’ll be surprised to know that coconut oil for face has equal benefits. The first rule of healthy, soft skin is to always remove your makeup before hitting the bed. Sleeping with makeup on has many downsides to it. From clogging pores and premature ageing to the weakening of lashes, your skin will never forgive you for committing this crime. After all, it needs to breathe at the end of the day, right? However, the process of removing makeup can hurt the soft skin on your face. But coconut oil makes that easy for you and your skin. To avoid vigorous rubbing and skin pulling while taking off your makeup, rub some coconut oil in between your palms and apply it all over your face. You can alternatively use a cotton ball for coconut oil application. Let the oil sit on your face for about 5 minutes before rinsing with warm water and mild soap. 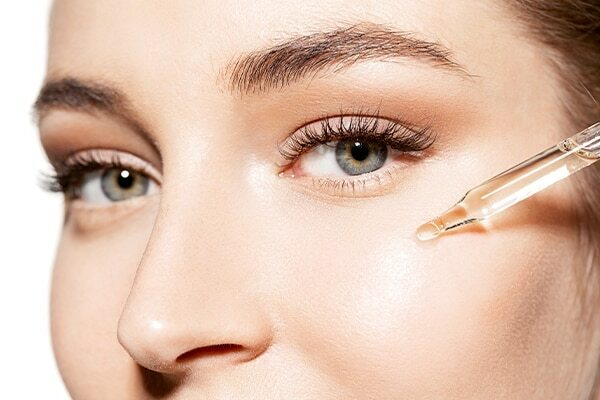 While the major chunk of your makeup will be gone, apply the oil all over your face once again for thorough cleansing. Coconut oil makes removing eye makeup simpler too. All you need to do is dip two cotton pads in coconut oil and place them on your eyes. Within a few minutes, you will notice how magically the oil helps dissolve waterproof mascara and eyeliner. You can then simply wipe it off. The best part about using coconut oil for removing eye makeup is that it is safe. Even if the oil enters your eyes, it may sting a bit but is absolutely safe to use. Flaunting naturally long lashes is a distant dream for most women. But, not anymore! You’ll be surprised to know that coconut oil is a wonder ingredient that promotes the growth of eyelashes. As coconut oil penetrates your eyelash follicles, it stimulates hair growth and strengthens your lashes. While excessive use of mascara can often cause your lashes to break or fall out; coating coconut oil on your eyelashes on a regular basis will leave you with longer, denser and flaunt-worthy lashes. An easy-peasy method to prepare a DIY coconut oil eyelash serum at home is to simply mix coconut oil, lemon oil and lavender oil together. You can use a Q-tip to apply the mixture on your lashes. Just dip the Q-tip in the oil and coat your lashes with it. Include this in your night-time skin care regimen and you’ll feel your lashes moisturised. Highlighting and contouring is not just time-consuming, but also, needs special skills. Mastering the art of highlighting and contouring to perfection may take time. Therefore, it may not be a great idea to highlight and contour on rushed mornings. For that, we have a solution - coconut oil! Yes, you read that right. Coconut oil works as an excellent natural highlighter. To get that beautiful and healthy glow, just dab some coconut oil on your cheeks and see how your face is lifted instantly. Sweep some shadow or blush with your fingers over the oil and you’ll be all set to slay! Infused with saturated fats, coconut oil works as a great moisturiser for your skin. Precisely why it makes for one of the best home remedies to treat sunburns. Applying coconut oil on the affected areas on your face can soothe your skin instantly. Sunburned skin is always dry and itchy. However, coconut oil can help relieve these symptoms by replenishing your skin’s moisture. The right way of treating coconut oil for sunburn is to first cover the affected area with a cool or damp towel. Allow your skin to cool down for about 15 minutes. Once the skin has cooled, go ahead and apply coconut oil to the sunburned area. You’ll find instant relief! The area around your eyes is more prone to dryness. If you’re dealing with dry under-eyes, use coconut oil as it works in a pinch. 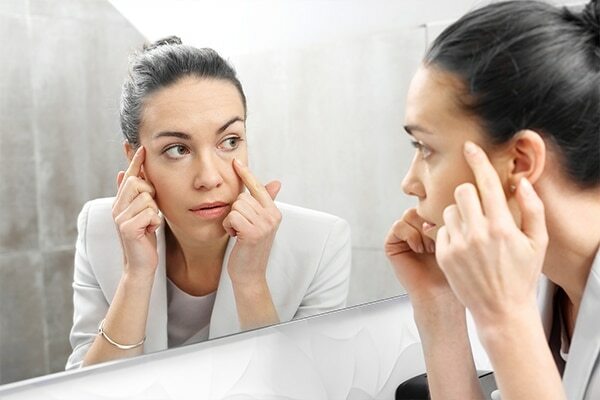 Whether it’s dehydration or ageing, a moisturising eye cream can rejuvenate your complexion. Every night before hitting the bed, dab a light layer of coconut oil under your eyes to re-hydrate and protect the skin. That’s not all! You’ll be happy to know that coconut oil is also a great ingredient when it comes to preventing wrinkles and under-eye bags. Coconut oil acts as a skin softener that helps keep dry skin at bay. Simply take some oil and rub it between your palms and apply on your face for a hydrating effect. You can also mix coconut oil with other exfoliating or grainy ingredients such as salt or sugar. Doing so will vastly improve the effects. Moisturising your face with this mixture on a regular basis will help remove dead skin and clean out the substances that have blocked your pores. That’s not all! Want to flaunt a dewy, glowy look? You no more have to spend long hours achieving dewy skin. All you need to do is start your makeup routine by applying coconut oil all over your face. Once you layer it with foundation, you will notice a dewy effect on your face. It’s that simple! While ageing is natural, there are ways to take care of your skin to preserve it for as long as possible. Coconut oil is one such preventive measure. From boosting collagen production to protecting skin from antioxidants, the benefits of coconut oil for the face are more than you can imagine. While on one hand, Vitamin E and fatty acids promote the production of new skin cells, lauric acid on the other, prevents signs of ageing. Start by rinsing your face with cool water and pat it dry. Next, take a few drops of coconut oil on your fingertips and apply it on your face and neck. Massage the oil into your skin in circular motions for a few minutes. Doing so every night before hitting the bed will help reduce the appearance of fine lines and wrinkles and reduce premature ageing.